The best way to get to know a community is by scheduling a tour. See the facilities, meet the staff and residents, and get a feel first hand what it's like to live at SenCura Home Care. 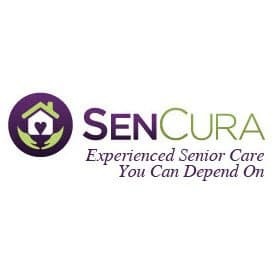 SenCura is a home care company that has been servicing elderly seniors and those with disabilities for many years. SenCura is a local, family owned business. "We were very fortunate to have the opportunity to be a part of such a rewarding business. There are so many people out there who could benefit from a service like ours and we are happy to be able to provide it", Cliff Glier, Owner. Our team is dedicated to helping people maintain their independence while setting the standards for service excellence. "We only hire caregivers that we would want with our own parents and grandparents; we hire for the heart", says Jaime Centrone, Director of Home Care Operations. We carefully match our clients and caregivers so we can be sure that SenCura is providing the best care possible. We honor our values by believing that bringing quality, safety, and friendship to the lives of our clients is a privilege we do not take for granted.